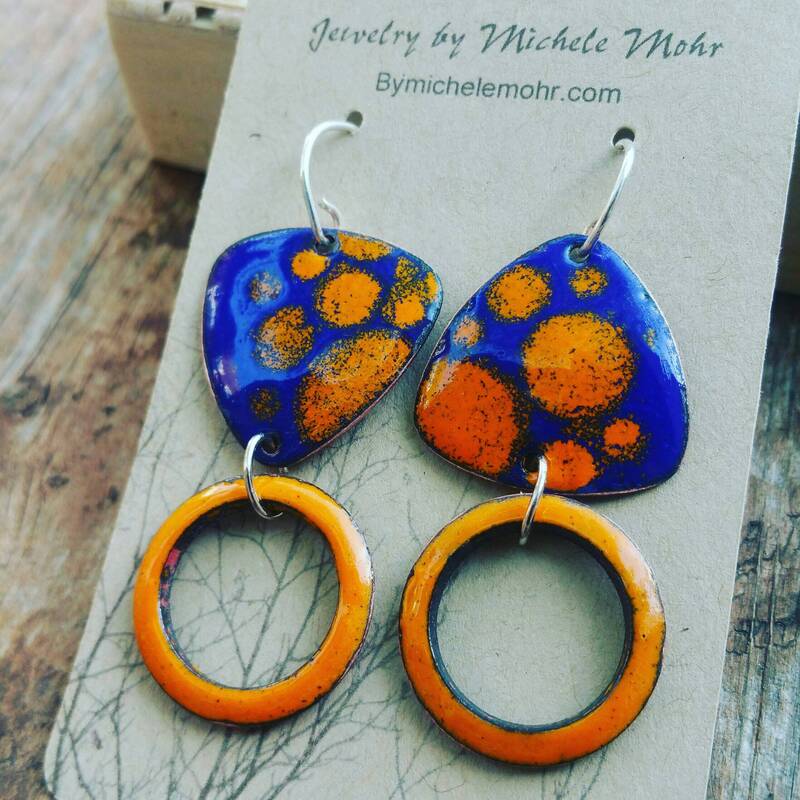 These bright and cheerful enamel earrings were created from copper. 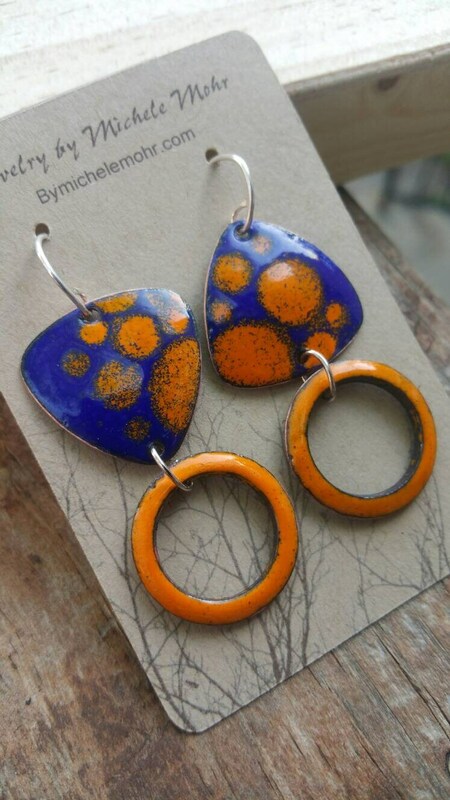 Each piece is slightly domed. 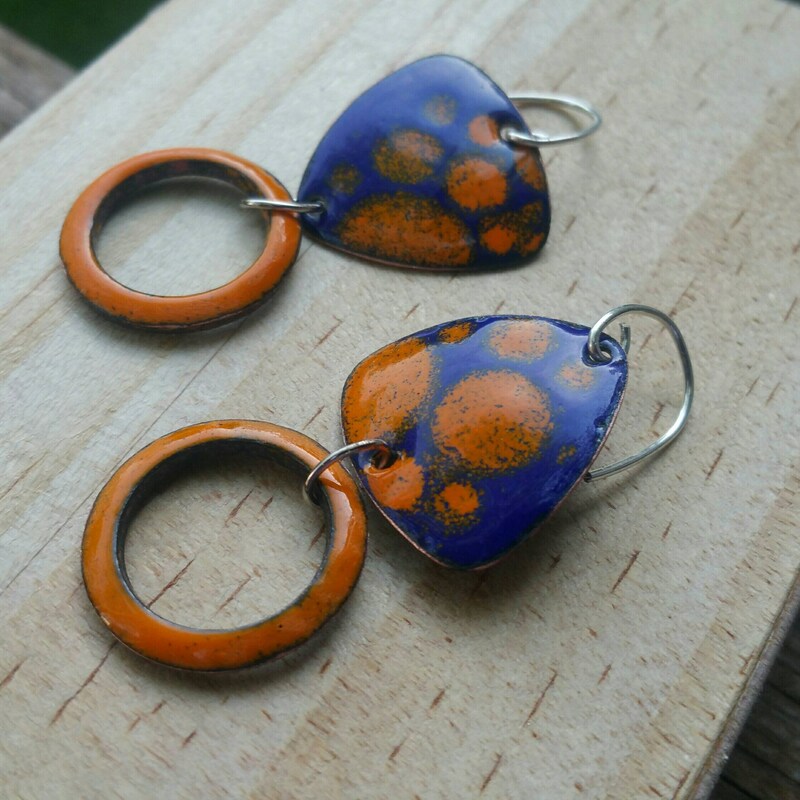 Vitreous enamel (pigmented powdered glass) was fused to the copper by sifting enamel onto copper and firing at 1460° F in kiln to fuse the glass to the metal. 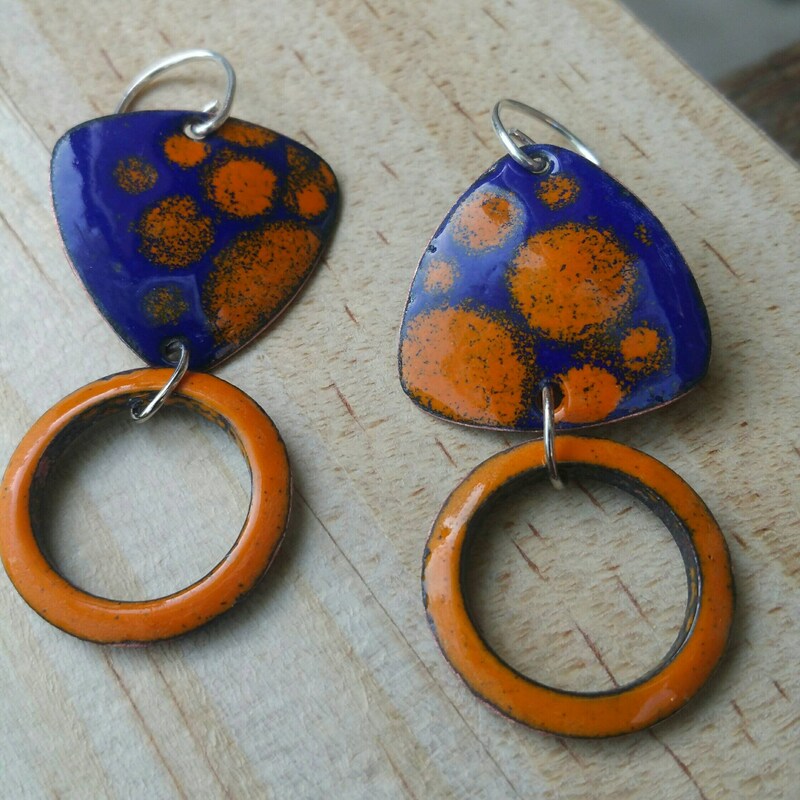 Enamel is sifted and fired multiple times to build layers of beautiful color and design. These are lightweight and easy to wear. Handcrafted sterling silver ear wires. Approximately 1.25" in length. 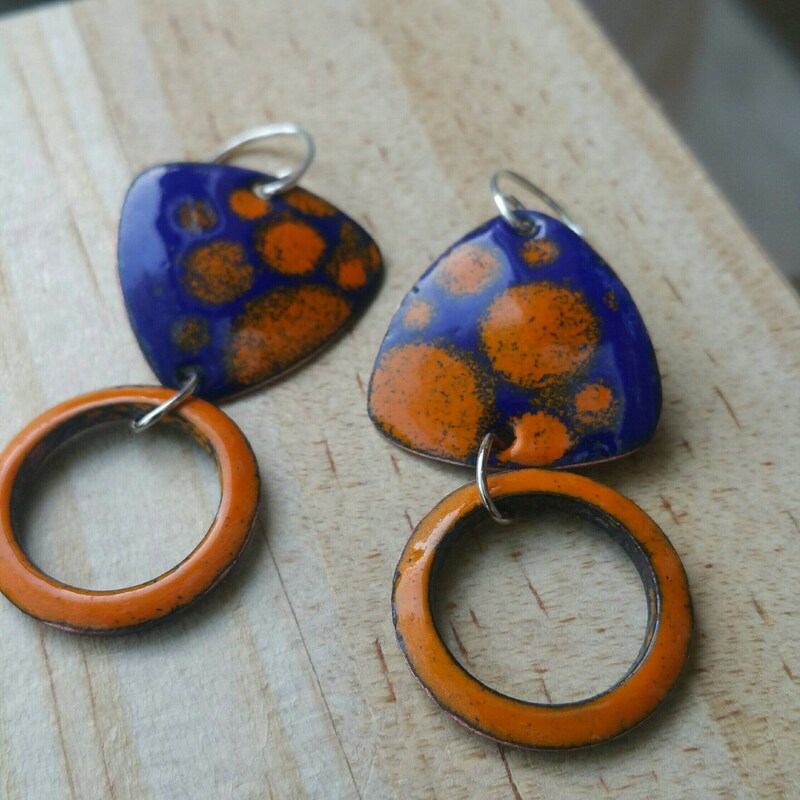 2" in length including ear wire.